Clearly define and teach a set of behavioral expectations. Consistently acknowledge and reward appropriate behavior. Collect and use data to regularly evaluate our progress. 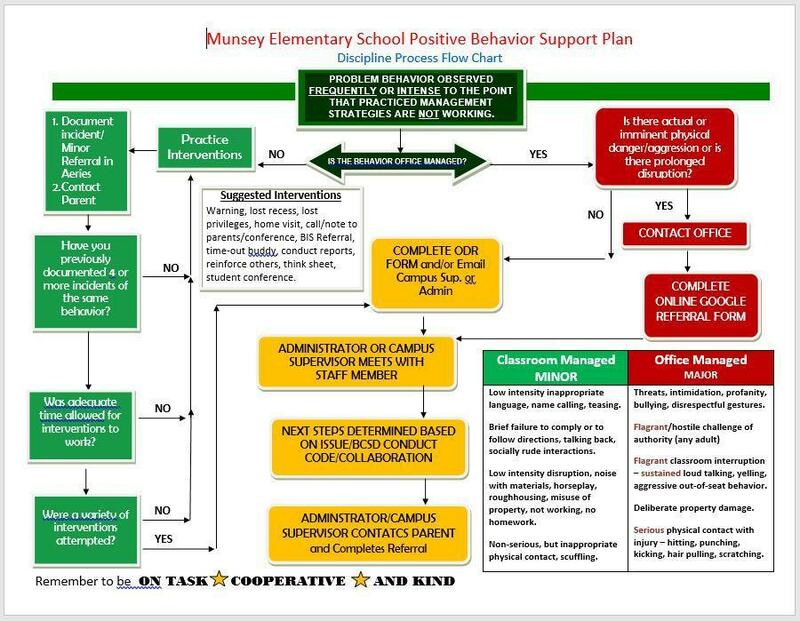 Munsey SWPBIS Committee evaluates, discusses, and implements strategies, practices, policies, and behaviors to ensure a caring and safe learning environment. Wristbands - Students can receive wristbands in the morning for following the procedures lining up, in the cafeteria, and on the playground. Tokens - Students receive tokens for following the rules around campus throughout the day. Classes compete to earn monthly rewards. Classes also receive prizes as they reach token levels. Super Star Acts - School staff award these certificates to students who go above and beyond by being kind, helpful, or working hard in class. Students can win popcorn with the principal or prizes on Fridays.